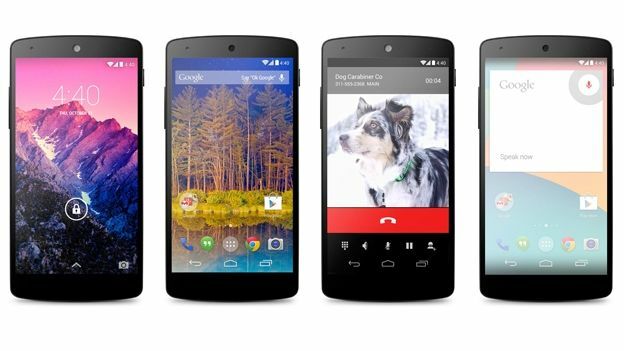 Google has unveiled Android 4.4 KitKat, the next version of the company's hugely successful Android operating system. Along with some subtle new design changes KitKat is now able to run on much less powerful smartphones. First up is the news that KitKat has drastically lowered the minimum operating requirements for smartphones, it'll now run on smartphones with only 512MB of RAM opening up Android to emerging markets. That's not to say that flagship smartphones have been left out of the loop though as KitKat also comes with some powerful new features which have been designed to take on Apple Siri. Google Now will now work on selected smartphones even when they're locked, with the microphone entering into a low power state it's able to instantly turn on the moment it starts hearing you speak. This enables you to ask questions, give it commands and make it perform a number of tasks all without picking up the smartphone. Google has also increased the performance of KitKat with faster, smoother response times and improved multi-tasking which should mean smoother running of multiple apps whilst not affecting the battery life at all. One of the biggest updates is enhanced Caller ID, if a number calls you which you don't recognise, Android will instantly search through business listings on Google Maps helping you see who's calling. Next up is the messages app, now Hangouts now integrates all your SMS, MMS and Hangout chats making it easier to communicate across the three different platforms. There's no word on whether you'll be able to add other services like WhatsApp.